Hiiiiiii Brittany!! Ok sorry, but I love her! Brittany was super awesome with her patience and one-on-one attention to my needs. I agree with the previous reviewers…I never felt as if she was too busy for me. Words can not express how much my husband and family enjoyed working with Brittany. She is a true gem and gifted at what she does. 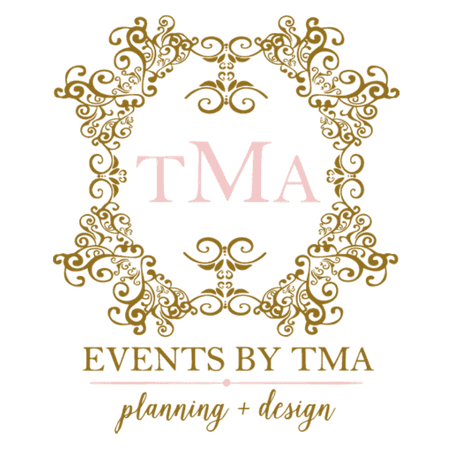 Events By TMA planned my daughters first birthday party and I couldn’t have been more pleased. Everything was perfectly coordinated and guest really enjoyed themselves. Brittany was very accommodating and reasonable. I will be contacting her for future planning needs. Brittany provided my day-of coordination. It did allow me the freedom to relax some. Having someone direct and facilitate helps a lot. Didn’t think it would be necessary but as always, my best friend was right. Would recommend to brides. I’ve worked with Brittany previously for party favors and design. She did an amazing job then and on my late summer/fallish wedding. Although she has other clients I liked that I couldn’t tell lol. I seemed like a priority and that’s a good feeling. I’d recommend her to a friend of course!